Erratum to: When the treatment goal is not cure: are patients informed adequately? The online version of the original article can be found at http://dx.doi.org/10.1007/s005200100291. The designation of the paper as original article has been retracted due to redundant publication. 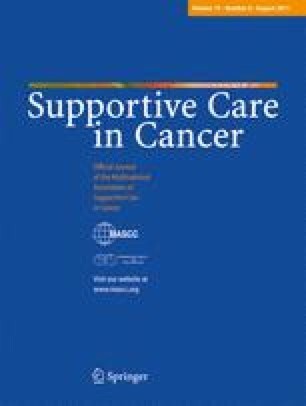 The original work presented in this report was submitted to the Journal of Clinical Oncology several months before the Plenary session of the MASCC meeting in Copenhagen in June 2001, and it was subsequently published with the authors Gattellari M, Voigt KJ, Butow PN, Tattersall MHN When the treatment goal is not cure: Are cancer patients equipped to make informed decisions? in the Journal of Clinical Oncology 20: 503–13, 2002. The SCC paper was intended as a plenary paper only, and should be referenced as such. The authors regret any confusion as a result of the SCC publication of their plenary paper.